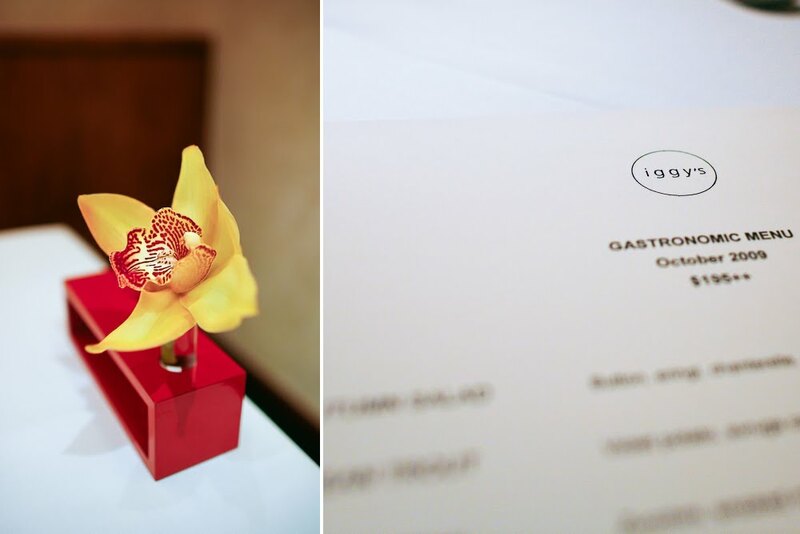 ZSAT: Singapore, Iggy's — Eat a Duck I Must! I heard about this restaurant when I was doing research on places to eat in Singapore. 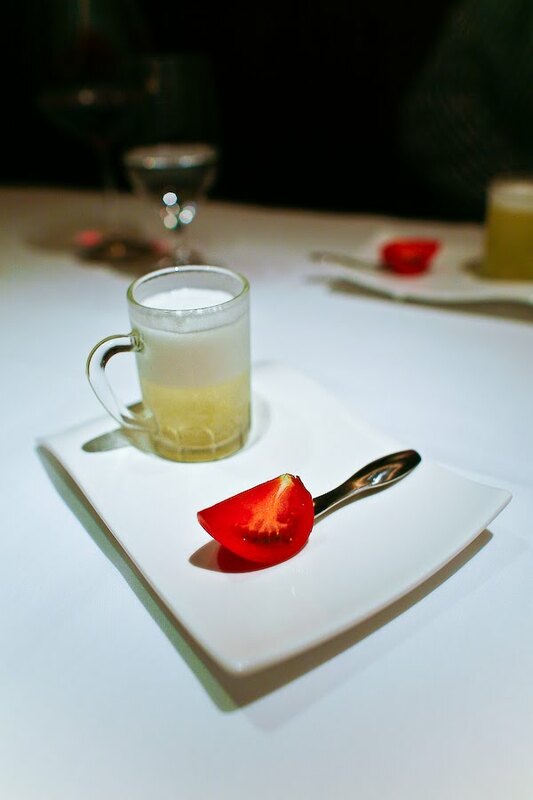 Upon googling, I stumbled upon the Miele Guide and went through the list of top restaurants in Asia. I clicked on the number one spot and it brought up a description for Iggy's, the location said Singapore. Right then and there, I knew I wanted to try it out. (For 2009/2010, Iggy's is placed No. 2 in the Miele Guide.) After googling some more, Iggy's also popped up as #45 on the Pelligrino World's 50 Best Restaurant list. 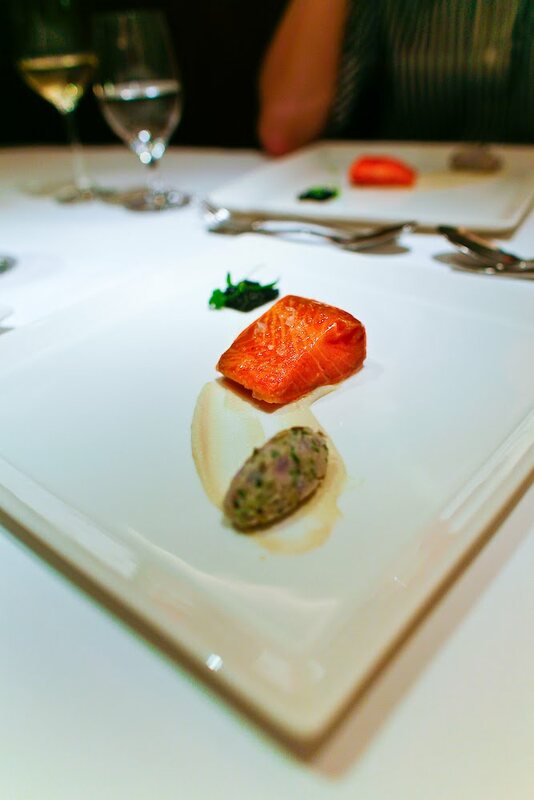 Having dined at Alinea and French Laundry, we wanted to add to our list of restaurants on the top 50. (Hopefully, we can slowly climb our way up to No. 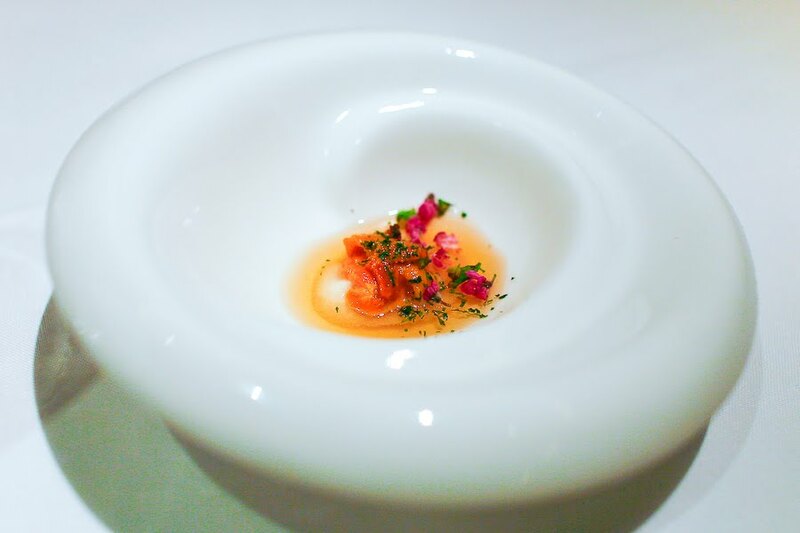 1, El Bulli!). After confirming with Alice, I tried to make an online reservation on their website. But we were still 2 months out and they only take reservations 1 month before the date. So I had to watch patiently for another month. Now the the day is here, this is one of the restaurants I was most looking forward to beside Kahala in Osaka (more to come). After a week of eating street food, I was ready for something more refined. The reservation was for 7pm and the two of us with our friend whom we shall call "Snoop" got there early to check out the hotel. 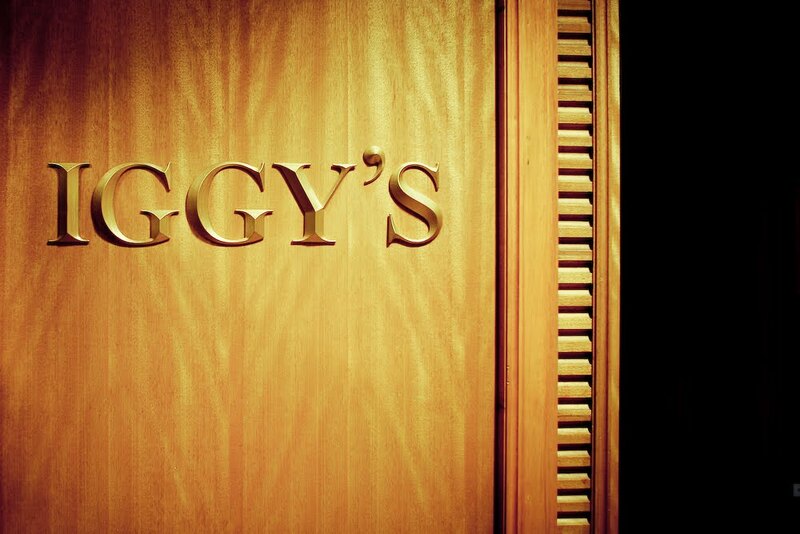 Iggy's is situated on the 2nd floor of the Regent hotel. It is tucked away in the corner of the floor with a golden sign in TIMES NEW ROMAN font that reads "IGGY'S". We arrived at the door and were greeted by Ignatius Chan, owner/sommelier. We were then led into a semi-private room with 2 tables. From our seats, you can view into the kitchen through the window from the bar. We watched as the chefs worked seamlessly to prepare our dinner. 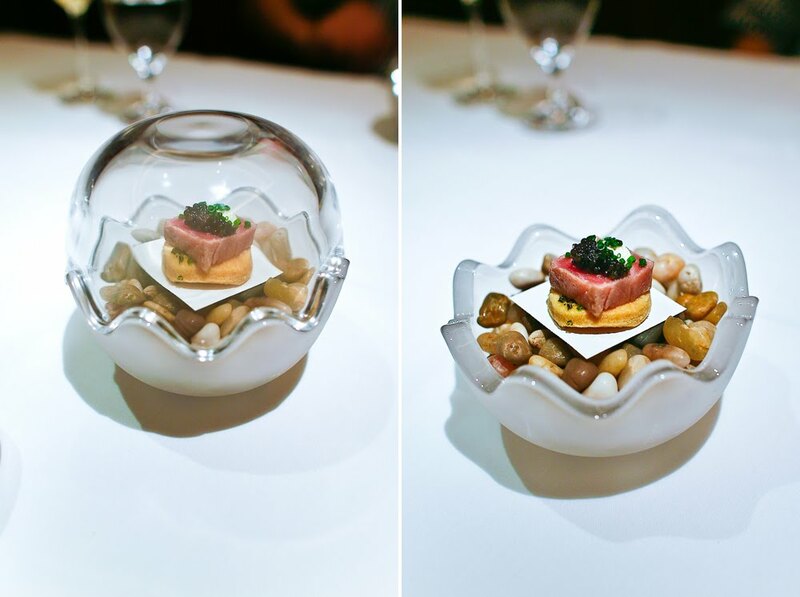 A few moments later, we were presented with this colorful amuse. We were told to scoop up the gelee and urchin and eat it in one bite. 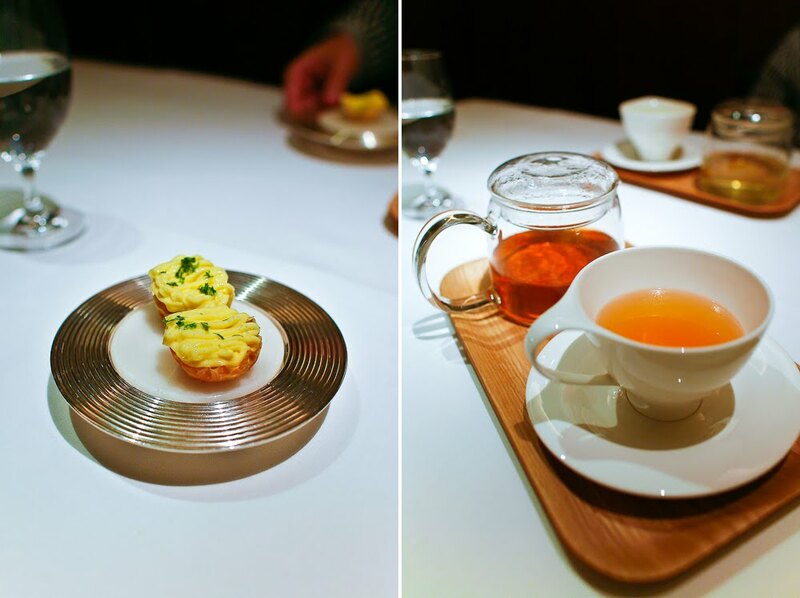 The urchin was fresh, sweet and creamy and paired well with the mild consomme. 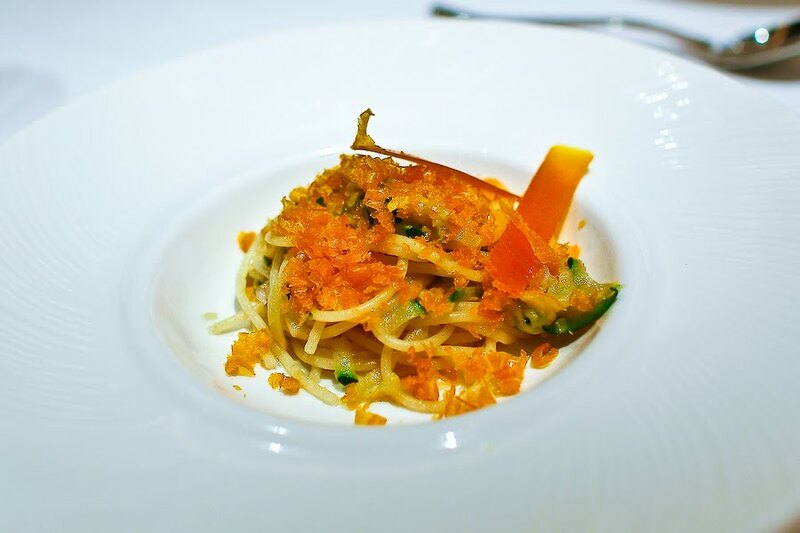 This first dish was promising and it did its job as an amuse to tantalize our taste buds. 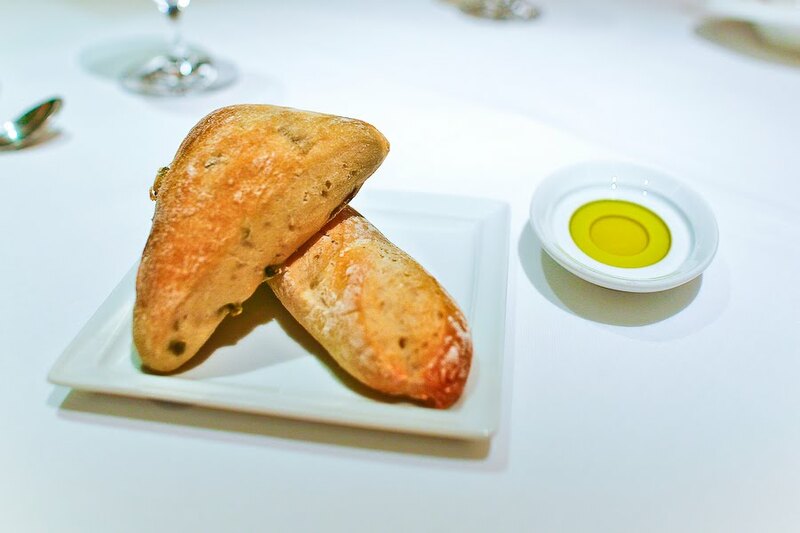 Bread service: olive bread and mini baguette with olive oil. As we lifted the lids off the bowl, an intoxicating smoke aroma filled the air. The tuna and the caviar took on the light smokey flavor and the chives gave it a nice bite. 2 for 2, we were off to a good start. Next we were presented with a beautiful plate of mushrooms. 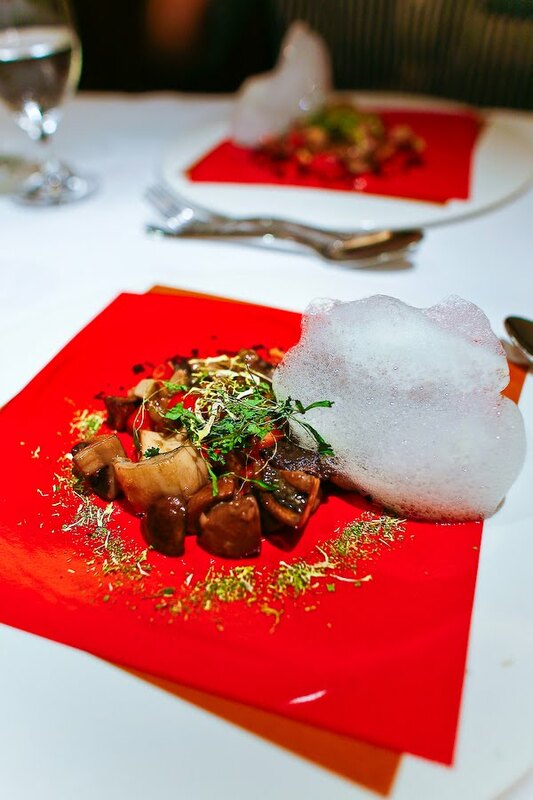 The citrus foam seemed kinda out of place, but the mushrooms were the main attractions. Alice really liked the dehydrated mesclun as it added texture to the dish. The fish was cooked perfectly, the sea salt sprinkled on top slowly melted in your mouth as you taste the fish. Pair it with the avruga caviar and it was a success. Seriously, the caviar was AMAZING. Alice couldn't stop talking about it. First impression, this dish is pungent, kinda like old stinky cheese. Which usually isn't a problem as we like all cheeses. The smoke mullet roe although pungent added umami to the dish. We all agreed we did not like this dish very much. I had to look up Kokotxas when I came back. Kokotxas, as it is defined as the delicate pendulums of flesh growing in the throat of hake or cod (Spanish). Again the dish was agreed to be not outstanding, as the flesh was too fishy for our taste. When we first saw the menu, we thought, "huh, what an interesting pairing of oats, gizzard and lobster". We felt the dish did not come together at all. The oats were a mushy and starchy in texture, the gizzards were chewy and it did not seem to work to bring out the flavor of the mild lobster. And normally we really like gizzards. However, the lobster was poached perfectly as it was sweet and succulent. 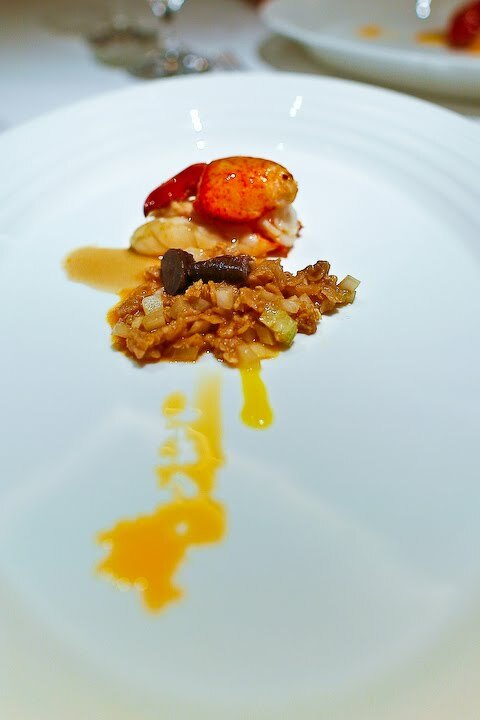 I must say this was not one of my favorite lobster dishes I had at high end restaurants. As of right now, it was a strong start, but the last few dishes really fell short. I was hoping the wagyu dish can bring it all back. Our palette cleanser came as a play on Caresse salad. We were instructed to eat the tomato wedge before drinking the basil infused cocktail. 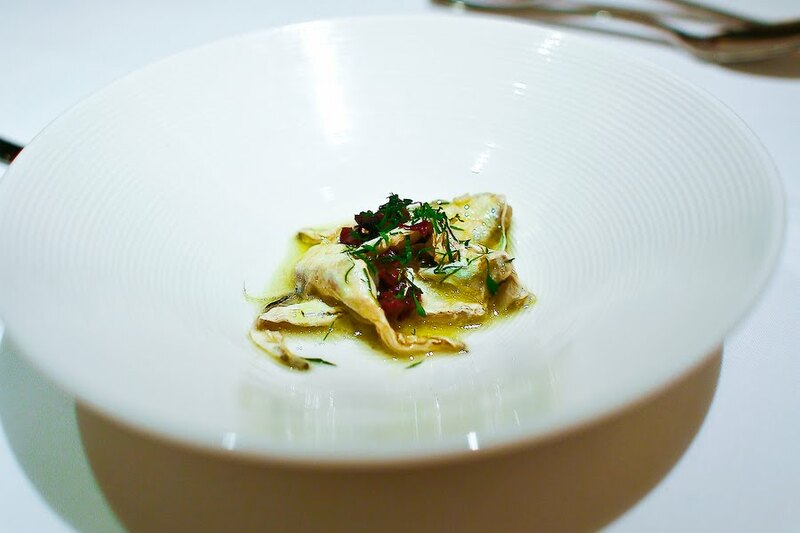 This dish was very light and refreshing and got us ready for something heavier. The pinot noir reduction was poured table side. 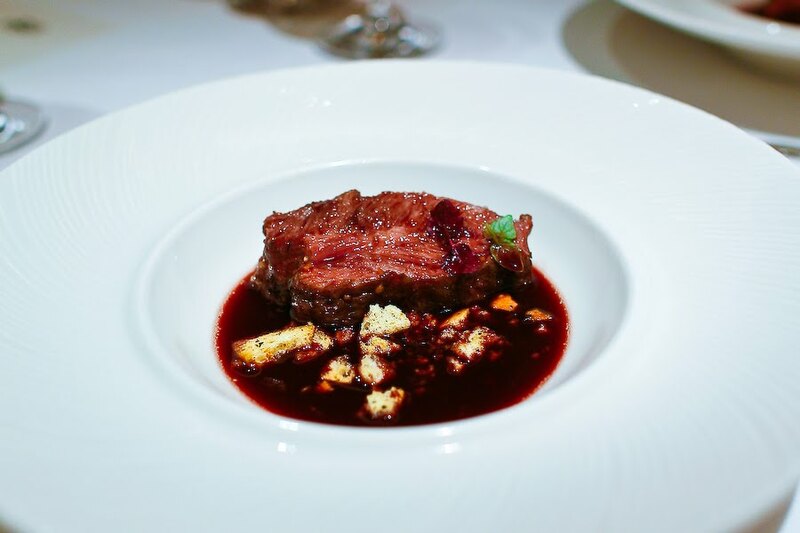 And the wagyu came in braised form, NOOOOOOOOOOOOOOOOOOOOOOOOOOOOOOOOO. (sorry I am not drunk from the wine, just disappointed in the preparation. Wagyu is highly marbled and tender. Braising is a technique used to tenderize tough cuts of meat. So when you braised wagyu beef, sure it is tender, but you also loose out on the fat. I personally think highly marbled beef should be grilled so that one can enjoy the flavor of the fat off the animal that was raised this way! I wouldn't have known if it was really a piece of wagyu or just regular short ribs. Other than that, the beef was tender and the pinot gave it a bold flavor and body. There were some jamon crisp floating around, but not enough to impact the dish. The Feijoa was a kinda of a play on gin and tonic. The gin gelee and the citrus cream went well together with the Feijoa. 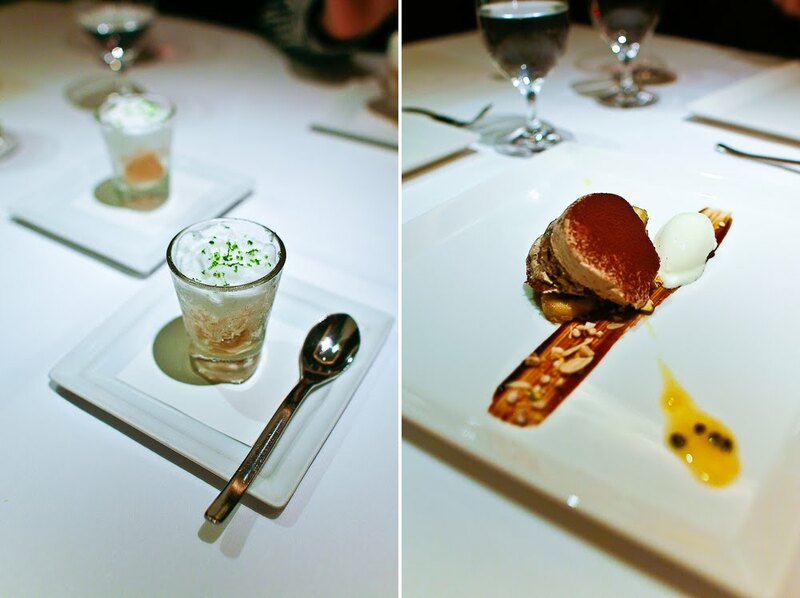 The Coffee dessert reminded me more of a tiramisu. As a tiramisu it was very well prepared, but we felt that the passion fruit coulis was not needed. The lemon custard tart was a bit of a surprise. We were told to eat it in one bite. The lemon cream was tart and the shell was light and flaky, but what surprised us the most was the sheet of pop rocks-like candy in the center. The tart snapped, crackled and popped in our mouth as if fireworks were going off. Of course, we Americans were quick to call the candy Pop Rocks, but our waiter was quick to correct us and told us it was a similar item made elsewhere. A great way to end the meal.